Rob Lowe: My Amazing Life on TV! 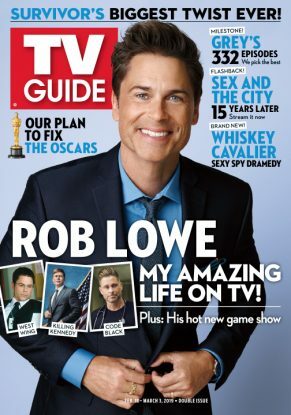 In this issue’s cover story, we took a deep dive into the lengthy career of actor Rob Lowe, from his days on The West Wing to NBC comedy Parks and Recreation to medical drama Code Black, and more. Lowe also filled us in on his new Fox game show, Mental Samurai!. We’re all shook up! 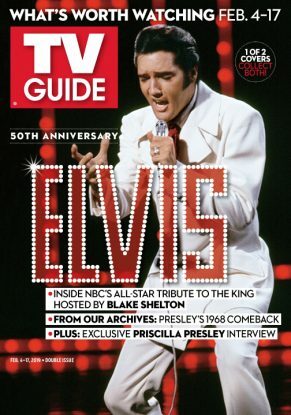 In this issue’s cover story, we dive into the world of Elvis Presley, starting with NBC’s Elvis All-Star Tribute, which honors the King’s 1968 special with performances by Jennifer Lopez, Blake Shelton and more. Also, read an exclusive interview with Presley’s ex-wife Priscilla and two. Wedding bells are ringing! 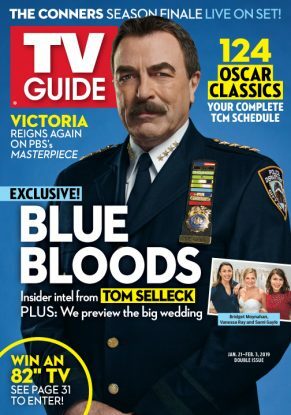 We dive into the upcoming nuptials on CBS’s crime drama, Blue Bloods, with the help of stars Tom Selleck, Vanessa Ray and others in this issue’s cover story. 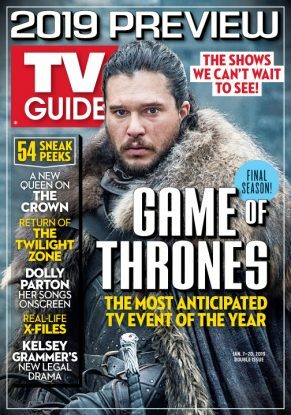 Plus, check out on-set scoop from The Conners’ season ender; don’t forget to DVR TCM’s classic Oscars. It has to be agonizing: The uncertainty. The anticipation. The wait for what fate has in store! We’re not just talking about what may befall the Seven Kingdoms on Game of Thrones. This is about the 16 (!) months and counting that the fantasy’s fanbase has been waiting for.